We’re hoping to hold a youth peace camp over school break, the end of November. It will be near a significant site – a school at Nyange where students refused to separate. 13 were killed. More details to be posted shortly. Email us at apeaceoflife@ymail.com if you’re interested in helping with fundraising or becoming one of our partners in peace. 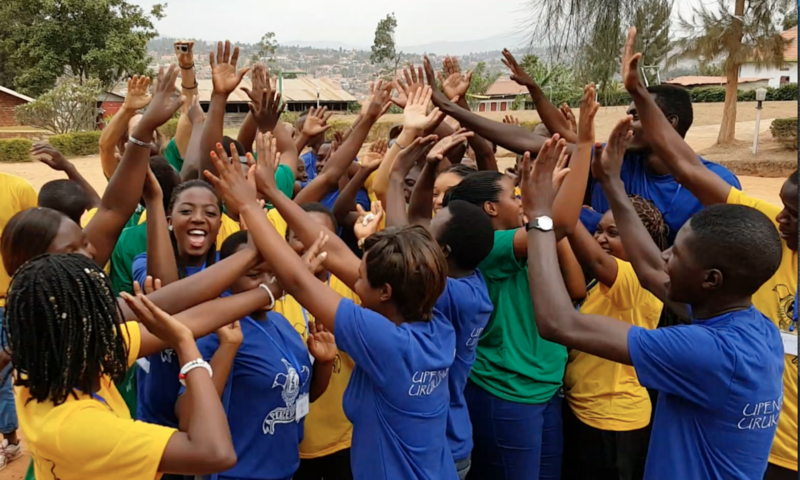 We’re looking for schools, camps and church groups interested in having a unique partnership with a school in Rwanda. Pictured: Some of the members of Amizero (Hope), a street kids ministry in Kigali started by one young woman, Epaprodite Nzunpize. They are learning traditional dance, drama and poetry and hope to be able to earn money with their new skills. Look for them to be one of the groups to perform at the camp! working hard to see this camp materialize – Laurena and gang, you have our attention and prayers and hopefully more money.